Classic Kiddush Cup with Wine Blessing. 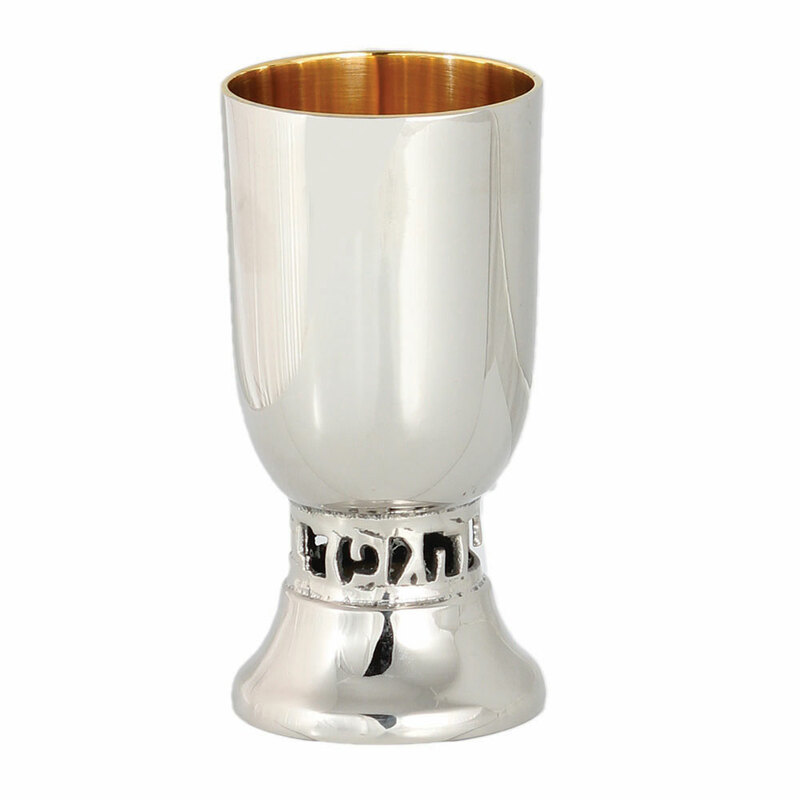 This elegant Wine cup features a portion of the blessing you recite on Wine. New shape with a prety belly shape. Finished with a sparkling high polish and gilded interior.